R-134a with Leak Sealer and UV Dye; 10 oz. 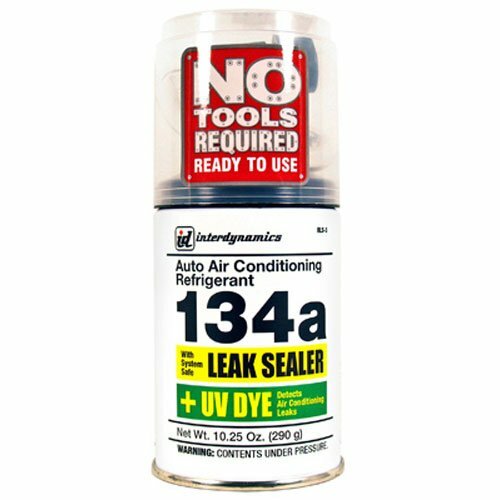 of R-134a to replace lost refrigerant; Contains Stop Leak to seal most common leaks in rubber hoses, gaskets, and O-rings; Single application of UV leak detection dye to help spot future leaks; Built in disposable dispenser in a shelf saver cap; 10.25 oz. ; Not for use in hybrid/electric vehicles with non-belt driven (electric driven) compressor. If you have any questions about this product by Interdynamics, contact us by completing and submitting the form below. If you are looking for a specif part number, please include it with your message.